Have you ever wondered what it’s like to land the Space Shuttle? Now you can find out. 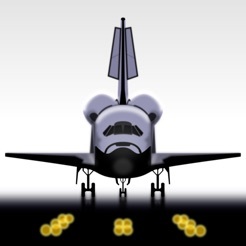 F-Sim Space Shuttle is a critically acclaimed flight simulator for iPhone, iPad and iPod touch. 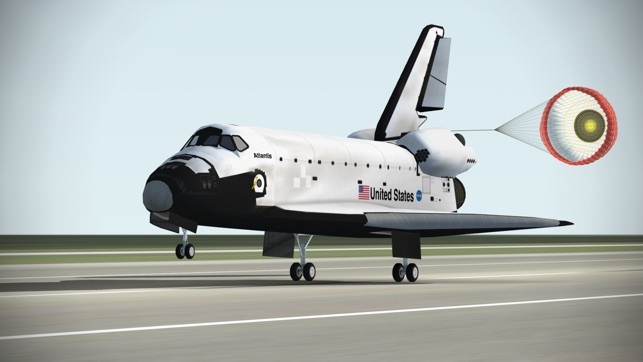 It simulates the Space Shuttle approach and landing in incredible detail and accuracy. We’ve tried to combine realistic flight dynamics with stunning graphics and fun game play: Each landing attempt takes just a few minutes. Our landing analysis and scoring system tells you exactly how to improve your next landing. It will make you come back and try again. Each flight starts at either 10,000 feet, already aligned with the runway, or at up to 50,000 feet, before banking into the heading alignment cone. During descent, the Orbiter is an unpowered glider, so you will only have one chance to get it right. 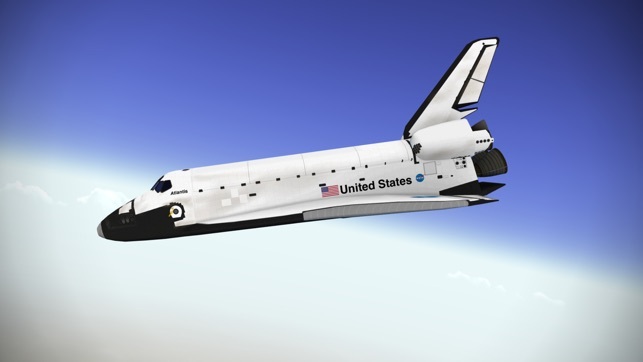 Astronauts used to call it a flying brick: because of its 200,000 lbs. gross weight and low lift over drag ratio, the approach is six times steeper and two times faster than a typical airliner approach. Landing the Orbiter takes practice, but the built-in autopilot demo and tutorials will get you started. After your first safe touchdown, chase that perfect landing, compare your high scores online with your friends, earn medals, and unlock achievements. Experiment with different weather conditions, night approaches, and even emergency scenarios or system failures. At the end of each flight, watch a replay from different camera angles. You control the Orbiter’s pitch and roll axes by tilting your device. Alternatively, you may switch to on-screen analog sticks. Rudder, speed brake, gear, and chute are usually handled by the autopilot, but you can have full manual control if you like. For beginners, we’ve added rectangles that visualize the desired approach path. Simply try to stay within the corridor of rectangles, and they’ll guide you right to the touchdown point. 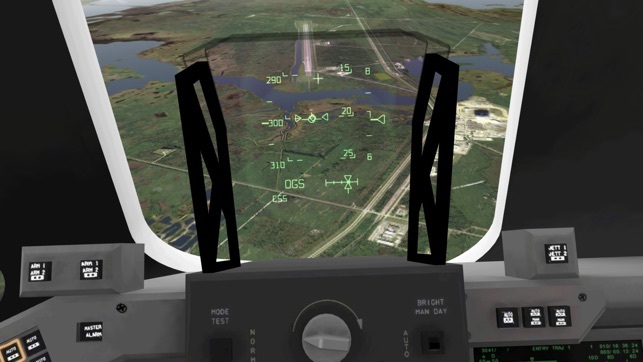 Advanced pilots can turn them off and rely on the instruments in the head-up display (HUD) instead. 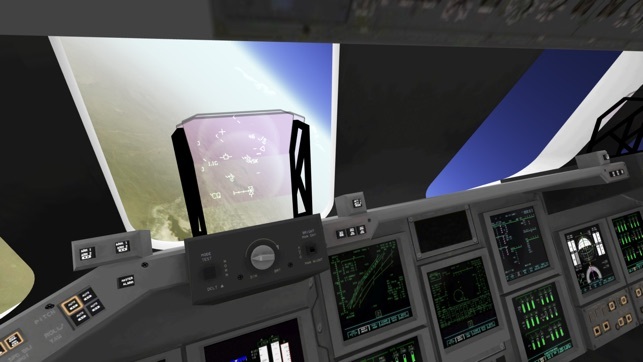 The simulated guidance, navigation and control (GNC) systems are authentic replications of their counterparts in the real Orbiter, and the HUD features all the instruments real Space Shuttle commanders used to employ to skillfully land this unique aircraft. Now it’s your turn to give it a try. 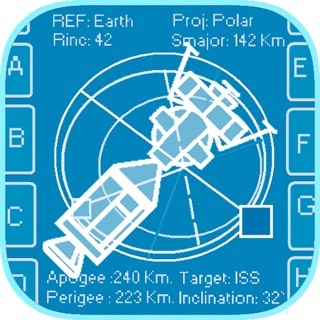 F-Sim Space Shuttle takes full advantage of modern iOS devices, but also runs smoothly on older hardware. We’ve tested it on all iOS devices, and iOS versions 3 to 7. We hope that you like this update and kindly ask to rate or review it in the App Store. We are already working on a major update and on a new flight sim app. Stay tuned! It wants me to buy it again... I got tired of it after a while and decided to take it off my iPod (I played it more than I should have lol). I was going to download it again but the little cloud with the arrow wasn't there. I tried and it asked me for $$$. Ok, maybe I bought it with a diff account? Nope, I checked other account and same thing. I KNOW I paid for it because it was the 1st thing I got with an iTunes card (AppStore cards are too mainstream). No need to say how I feel, pretty sure you guys know. This has only happened with another game (Airfighters Pro by ROTORS or RORTOS). I still give it five stars because this problem isn't related to gameplay. Not telling you guys not to buy it but please be careful when you get it (get some proof that you got it. I usually take a screenshot of the electronic receipt but I went idiot-mode and deleted this game's receipt so I'm screwed lol). Gameplay: The ONLY reason you're gonna get bummed with this game is because you're gonna wish these developers made sim for airplanes. It's that good. 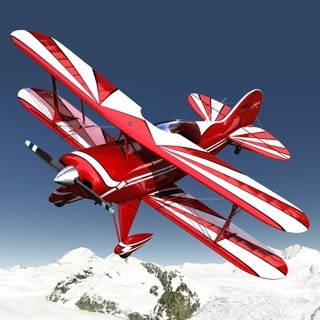 The most realistic flight sim in the app store, period. 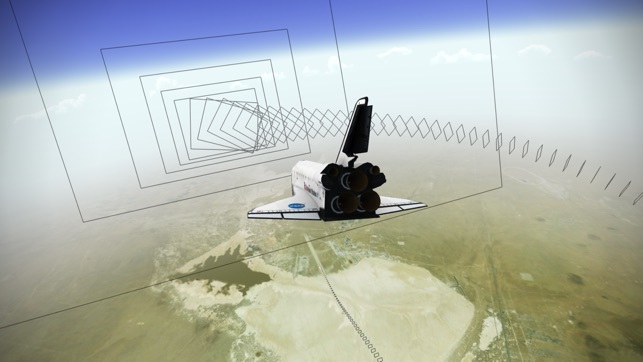 This is the exact approach and landing that the shuttle flies (oops, flew). The developer nailed the shuttle's HUD perfectly. It's not just some generic cut-and-paste HUD and flight profile like many sims throw in their half-baked shuttle add-ons (*cough* x-plane). This is an inch-perfect shuttle HUD reproduction. The flight profiles are also beautifully accurate. You can choose different approach directions, HAC profiles, runway direction, and weather conditions. This allows you to actually recreate historical landing conditions and fly them as they originally did. Because of all this, this app is also a major challenge. 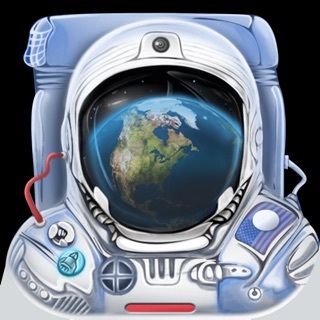 In the four years I've had this app I've made thousands of landings in varying conditions. It took a long time to be able to make consistent "good" landings, and even now "perfect" landings still aren't a guarantee. Simply put, this sim is remarkable. A BIG Thank You to the developer and his team! And I'm looking forward to that X-15 sim! I’ve wanted to buy either a space shuttle simulator game or an aircraft carrier game for a while. I don’t mind if I had to pay for it. I finally looked around and came across this one. The reviews (which didn’t seem like they were b.s. or written by friends or family), were pretty good so I ended up buying this last week. After making only one landing out of my first 25 attempts, I can fly this thing but it will take me time to land this safely. I’m glad it is difficult because I didn’t want to be bored so fast. I’m hopelessly addicted to it and make myself stop playing. The only thing I will never get is the technical terms in the help section. I understand some of it, but I’ll have to read the other stuff a few dozen times before it sinks in. Besides, there’s so much going on just trying to fly straight that it would be impossible to take all that data in.